SAN FRANCISCO (KP) - Sarbjit Dhunda, the controversial missionary preacher, who not long ago was summoned and reprimanded by Sri Akal Takht Sahib for making derogatory statements about Gurbani kirtan recited at Sri Darbar Sahib, Amritsar, has again become the center of controversy as he continues to malign and distort the sacred Bani of Guru Gobind Singh Ji enshrined in Sri Dasam Granth Sahib. On February of 2012, Sarbjit Dhunda appeared at Sri Akal Takht Sahib in front of the five Singh Sahibans and asked for forgiveness for his transgression. According to Giani Gurbachan Singh, the current installed Jathedar of Sri Akal Takht Sahib, Dhunda assured the Singh Sahibans that he would refrain from making such remarks in the future. Dhunda has also denied being the voice behind the an older video posted on YouTube by his own cohorts in which he is clearly heard making insulting remarks on the verses of Sri Jaap Sahib. In return for his appearance, Dhunda received a mild “tankhah” (religious penance) for the sacrilegious remarks about Sri Darbar Sahib Kirtan, but no less than four months later he again restarted to spew venom against the sacred Bani of Guru Gobind Singh Ji and in a June 5th speech at Nagpur, Maharashtra, he claimed that kirtanees in the Sikh Panth are continually violating the Sikh Rahit Maryada by reciting verses from Sri Dasam Granth. Dhunda claims that the Sikh Rahit Maryada only allows recitation of verses from Sri Guru Granth Sahib Ji, Bhai Gurdas Ji’s Kabits/Vaars, and Bhai Nand Lal Ji’s Gazals during kirtan. Dhunda, who often ridicules and chides other kathakars as being “ਗਪੌੜੀ ਸਾਧ”, shows his true colors by distorting and twisting the wording in the 'Kirtan' section of the Sikh Rehat Maryada. 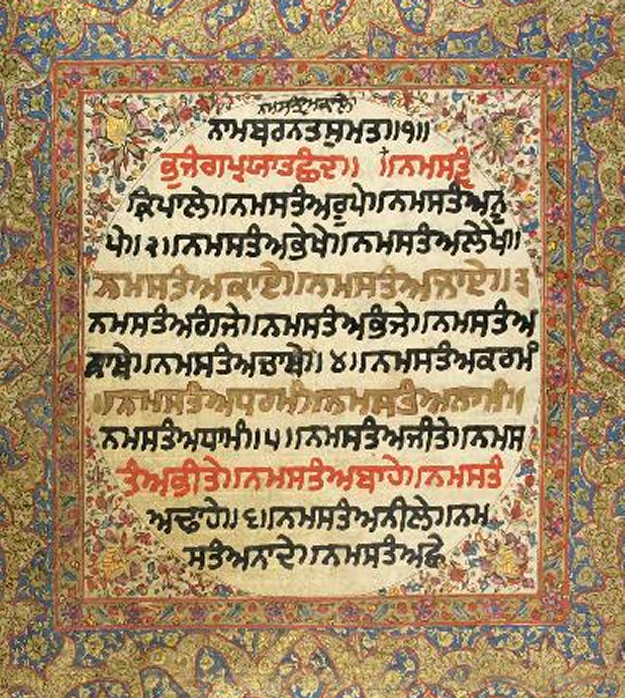 Nowhere is it mentioned in the Sikh Rahit Maryada that only Gurbani from Sri Guru Granth Sahib Ji can be recited – in fact – only the word “ਗੁਰਬਾਣੀ” is used as the condition. According to the Mahan Kosh (The Encyclopedia of Sikhism), Gurbani connotes to the Sacred Bani revealed by the various Roops of SatGuru Nanak Dev Ji to Sri Guru Gobind Singh Ji. For centuries, the sacred Gurbani revealed by Sri Guru Gobind Singh Ji has been recited at all Sikh Takhts, and Gurdwara Sahibs, never has anyone questioned the validity of this recitation. In another video, at a different venue, Sarbjit Dhunda claims that the well-known Gurbani verses “ਦੇਹ ਸਿਵਾ ਬਰ ਮੋਹਿ ਇਹੈ ਸੁਭ ਕਰਮਨ ਤੇ ਕਬਹੂੰ ਨ ਟਰੋਂ ॥“, which are often referred to as the “Sikh National Anthem”, are not the work of Guru Gobind Singh Ji, and that these verses promote the worship of Hindu deity Shiv Ji. The above comments illustrate Dhunda’s utter lack of understanding the depth of Guru Sahib's Divine Gurbani - this is not at all surprising since this Dhunda barely has a high-school education, and despite having no higher-level education, he continues to refer to himself as a "professor". Had Dhunda spent some time reciting and studying Gurbani, he would not be making these foolish claims. The great fool thinks that God is a stone. But he does not know the difference between the two. According to Dhunda's logic, even the verses in Guru Granth Sahib are promoting the worship of deity Shiva. It would not be surprising for Dhunda to eventually raise that as an issue. On stage Dhunda has routinely ridiculed various Gurmat traditions and practices such as Simran and Naam-Abhyiaas, yet when he was confronted in Calgary and Toronto by pro-Panthic individuals, he shamelessly claimed that he believed in the concept of Naam-Simran, Amritvela, and Gurmantar and had no issues with Dasam Bani. Yet, his venomous sermons on stage prove otherwise. Even after appearing at Sri Akal Takht, Sarbjit Dhunda has not stopped disparaging and distorting the sacred Bani of the Guru Gobind Singh Ji – it is high time for the Jathedar of Sri Akal Takht Sahib to give Dhunda a final warning that either he cease and desist from his heretical sermons or face the same fate as the likes of Gurbakhsh Kala-Afghana, and Ragi Darshan. Dhunda’s latest disparaging remarks about the sacred Gurbani of Guru Gobind Singh Ji are nothing more than a feeble attempt by this lunatic to win back sympathy from some of his former cohorts who abandoned him after he appeared at Sri Akal Takht Sahib. They had chided him for recognizing the authority of Jathedars and succumbing to the beliefs and traditions followed by rest of the Panth. It is the duty of the entire Sikh community to keep the pressure on our Panthic institutions so heresy by troublemakers such as Dhunda does not go unnoticed and unpunished. Additionally, a keen eye must be kept on those who continue to promote and sponsor him during his trips abroad - as they are directly responsible for creating divisions amongst the Sikh diaspora.